Тема в разделе "HYIP от 16% до 60% в месяц", создана пользователем All-HYIPs.info, 29 мар 2019. Received Payment 0.44 USD from account U4012052. Memo: API Payment. Withdraw from hourhighyield.com. Received Payment 0.13 USD from account U4012052. Memo: API Payment. 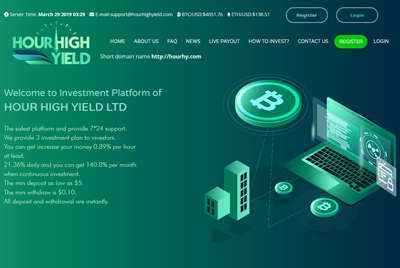 Withdraw from hourhighyield.com.